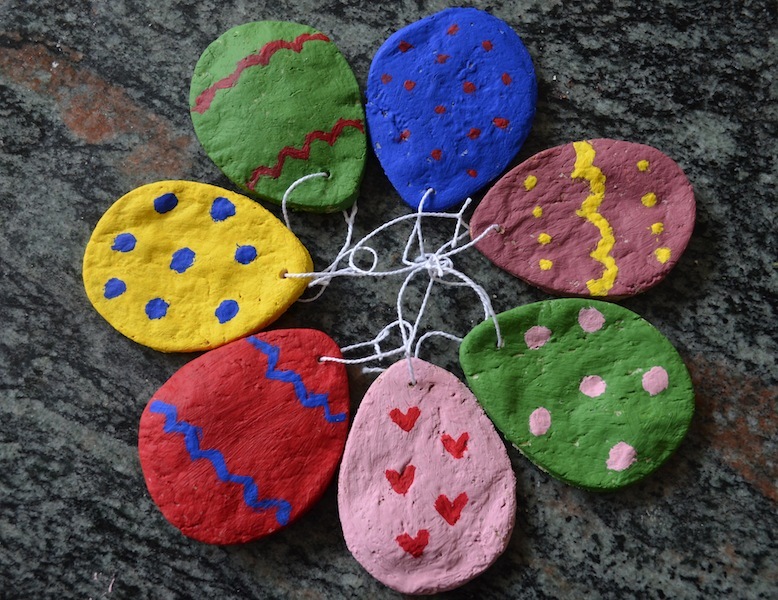 Our kids loved making salt dough ornaments for the winter holidays, so we decided to recycle this craft with an Easter theme. I hadn't heard of Easter trees, but apparently they are a very popular decor item for many families. 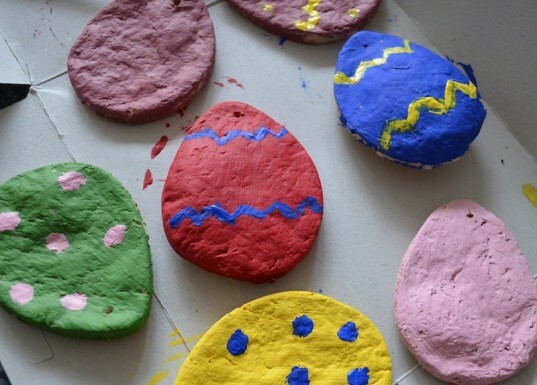 These simple, kid-friendly salt dough Easter eggs are an activity the whole family can take part in -- from mixing the dough to decorating the eggs. 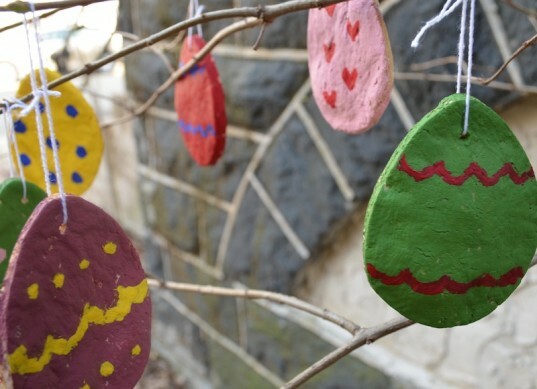 And when the eggs are done, children will love hanging their Easter goodies up on an indoor tree or searching for them during a neighborhood egg hunt. Read on for a fun family activity that doubles as a keepsake craft! 1. Gather the ingredients and supplies you will need. 2. 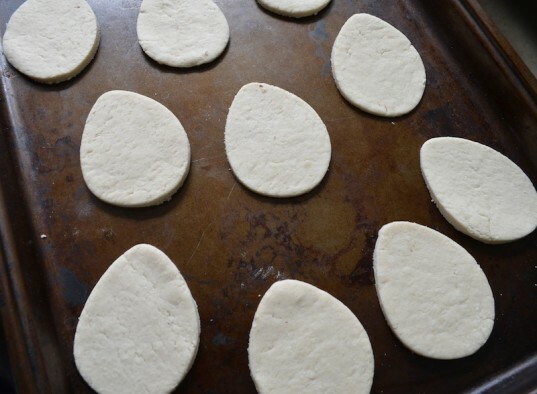 Make the dough and cut out the eggs. Preheat the oven to 350 degrees. In a large bowl, combine the flour and salt and mix well. Gradually add the water and mix until it has a putty-like consistency. 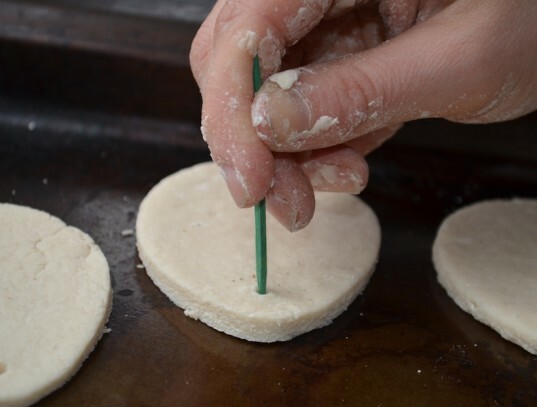 Knead the dough for about 5 minutes, until it is smooth and well-combined. 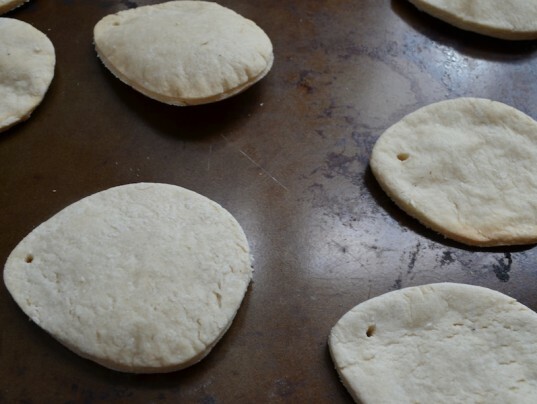 Roll the dough to about 1/4 inch in thickness on a lightly floured surface. Cut out the eggs and place on an ungreased cookie sheet. 3. Make a hanging hole. Using a toothpick, make a hole at the top of the egg, twisting to make sure the hole stays large enough for string or ribbon to go through. Place the eggs in the preheated oven and bake until firm, about 30 minutes to an hour, depending on the size of your eggs. There are several methods for baking these eggs, including letting them cook for several hours at lower temperatures and even letting them dry out naturally for 48 hours on a countertop. This baking method allows for quicker gratification for kids and works fine as long as you are painting the eggs — since parts of the ornament may brown slightly. Remove the eggs from the oven and let them cool. 5. Paint and decorate the eggs. Once the eggs are cooled, decorate with paint. Let dry, then add nail polish or shellac, if desired. Feed string, twine, or pipe cleaners through the hanging hole and tie a loop and a knot. Hang them on an Easter tree or outside! Happy egg hunting! Place the eggs in the preheated oven and bake until firm, about 30 minutes to an hour, depending on the size of your eggs. There are several methods for baking these eggs, including letting them cook for several hours at lower temperatures and even letting them dry out naturally for 48 hours on a countertop. 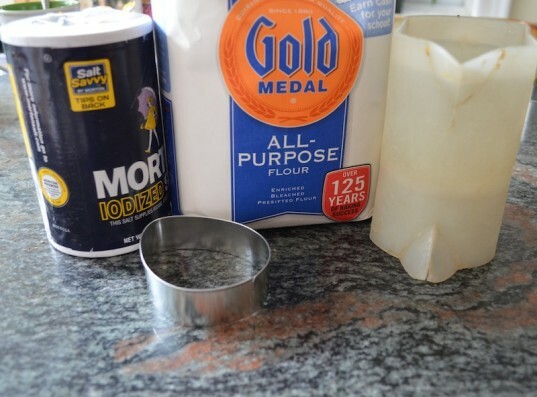 This baking method allows for quicker gratification for kids and works fine as long as you are painting the eggs -- since parts of the ornament may brown slightly. Remove the eggs from the oven and let them cool.